Thoughtonomy announced today that Ben Case has joined the company as Director of Solutions based in Austin, TX, helping to accelerate the growth and ongoing development of the Intelligent Automation platform, and the momentum of the business in the US market and globally. 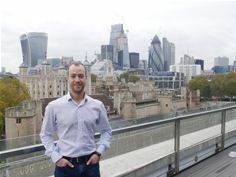 Ben was previously Director of Cognitive Solutions at automation firm IPsoft, and brings a wealth of experience in the application of machine learning and Artificial Intelligence to deliver business benefit across some of the world’s leading organizations. The creation of this new position is one of many investments Thoughtonomy is making to reinforce its industry leading and increasingly cognitive technology and its focus on bringing the benefits of its award winning Virtual Workforce platform to clients across industries, markets and geographies. Thoughtonomy has continued its impressive growth throughout 2017, with quarter on quarter revenue growth tracking in excess of 40%, continuing the 300% annual growth trend of the previous two years. Through direct client engagement, an increasing ecosystem of partners, and a globally available SaaS platform, Thoughtonomy is delivering value to over 150 clients in 27 countries, including Global 500 firms, enterprise businesses worldwide, public sector organizations, and emerging industry disruptors. “Our vision is to provide highly secure and flexible digital labor to organizations of all sizes. The Virtual Workforce is a technology platform onto which customers or partners build work using their process knowledge. With most organizations constrained by the availability and productivity of skilled office based workers, we are offering them the opportunity to configure digital labor alongside human workers to maximize productivity and create new delivery opportunities,” commented Thoughtonomy CEO Terry Walby.